As a class, we have used the Singapore Bar Method to help us understand fractions. It has been useful for children to see maths problems visually. Not just the past, present and future?! Children are required to identify and write in more than just past, present and future tense. We have recently been learning about the present perfect and the simple past. This website has an explanation of the 'perfect' tenses as well as some examples. When children are more confident with division and can already use arrays or a number line to solve division calculations - they are introduced to the 'bus stop' (short division) method to solve larger numbers divided by 1 digit. To use the bus stop method accurately, children need a good understanding of times tables. At this point children are expected to show 'remainders' as they are in this example and to interpret them appropriately (knowing whether to round up or down in real life/word problems). 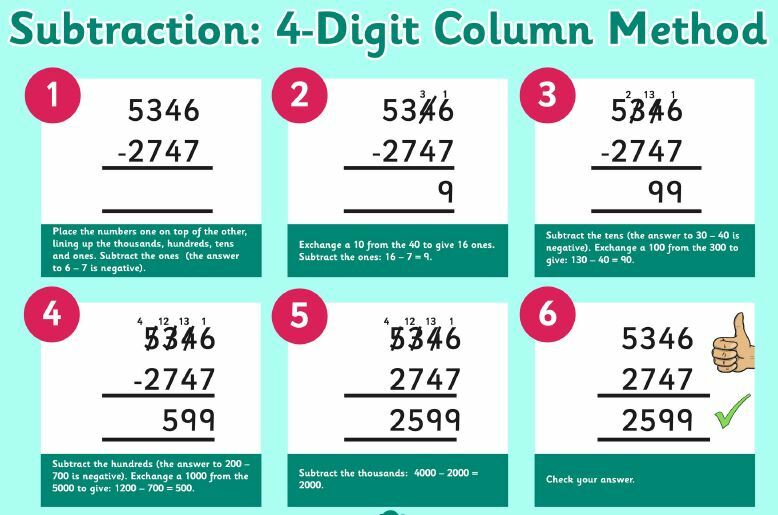 Children are taught to use the column method for multiplying larger numbers that they can't do in their head. 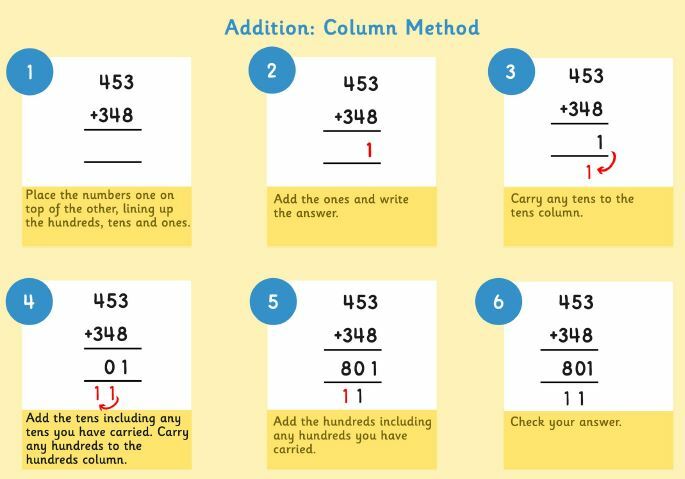 It is useful for children to understand the expanded and compact method. 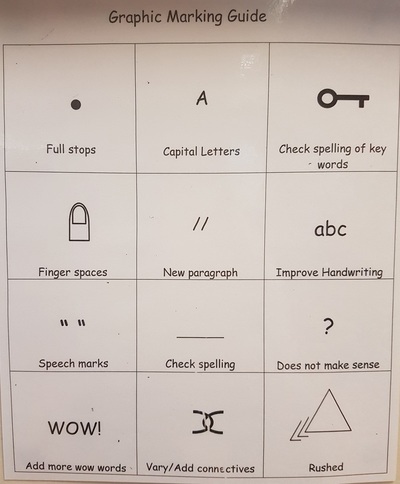 I hope you will find these examples useful. By the end of year 4 children are expected to know all of their times tables up to 12 x 12 with rapid recall. Alongside learning times tables the children also learn the related division facts. The following link leads to a webpage that explains what division facts are, when they are learnt and how they can be learnt. ​ What are division facts? In class we are working on adding more complex sentences into our writing. 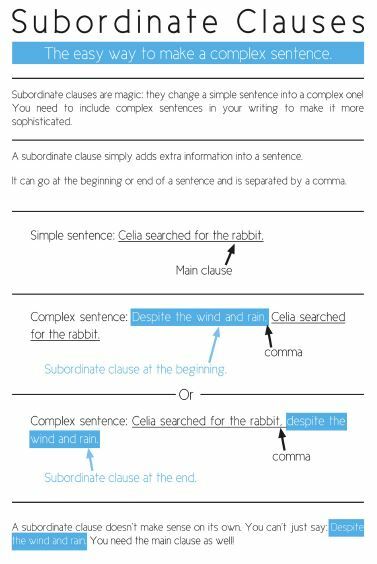 One way to do this is to add extra information to simple sentences. 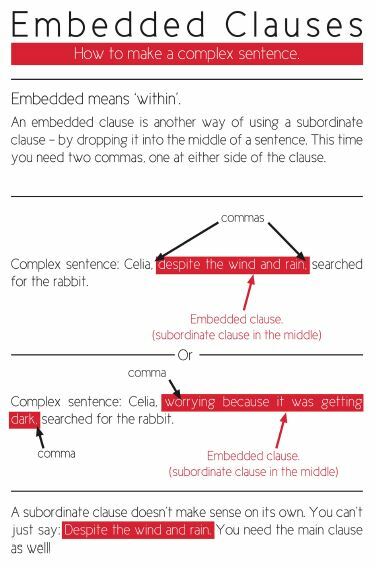 This extra information can be called a subordinate clause - they can go at the beginning, the end or the middle of a sentence (when it is sometimes called an embedded clause). 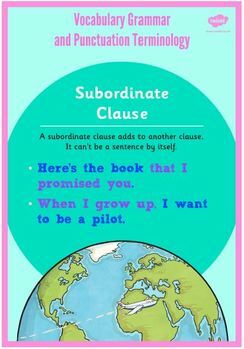 Click on the links to see a poster explaining subordinate and embedded clauses with examples.